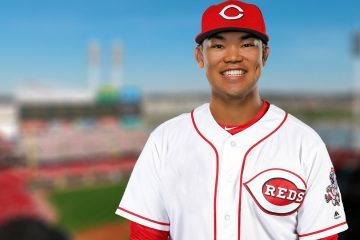 Can Connor Joe break out for the Reds in 2019? Connor Joe makes the leap to become a Max Muncy type hitter, yes or no? Eric A Longenhagen: Not that crazy but I do think he’s a good sleeper. Max Muncy plays for the Los Angeles Dodgers. In 2018 he played in his first full season at the Major League level and was 27-years-old. He was hardly young, and didn’t exactly seem like a guy who would break out. Muncy didn’t even get a single plate appearance in the Major Leagues in 2017. He then made the Dodgers squad in mid-April and never looked back. The left-handed hitter went out and hit .263/.391/.582 with 35 home runs in 137 games played. Connor Joe doesn’t exactly have the power that Max Muncy showed in 2018. But neither did Max Muncy prior to 2018. Muncy had a career slugging percentage of .438 in his Minor League career. And outside of his 93 games in the California League, his single season high in home runs was 12, which he had in 2017 as a 26-year-old in 109 Triple-A games. What gets interesting here is that both Max Muncy and Connor Joe have been in the Los Angeles Dodgers system in the last two seasons. Both played with their Triple-A affiliate, too. That gives us a good numbers comparison to look at. Now, there need to be a few things pointed out here. Max Muncy’s season was in 2017, while Connor Joe’s was in 2018. Muncy also had just over twice as many plate appearances. Joe began his season in 2018 in Double-A, hitting .304/.425/.554 in 57 games played. Muncy was 26 at the time of his season, while Joe was 25 for his. With that out of the way, the two seasons were pretty similar. Connor Joe walked a lot, but not as much as Max Muncy did. He also made a lot more contact. He hit for a bit more power, too. Not shown in these numbers is the fact that Joe, like Muncy, hadn’t shown much power earlier in his career. He’s slugged just .398 in his Minor League career and had never hit more than 5 home runs in a single season prior to last years 17. There are certainly some interesting similarities between the two guys. Both had late-minors career break-outs. Both had above-average walk rates. They are both similarly sized, too. Both are listed at 6′ 0″ and within 5 lbs of each other. Connor Joe is a right-handed hitter, while Max Muncy is a left-handed hitter. The Reds will be Joe’s fourth team in two years as he has been shuttled around from Pittsburgh (which drafted him) to Atlanta (for Sean Rodriguez) to the Dodgers (for cash) during that time. Now 26, Joe spent 2018 split between Double and Triple-A. He’s a swing changer who began lifting the ball more once he joined Los Angeles. Joe is limited on defense to first and third base, and he’s not very good at third. He has seen a little bit of time in the outfield corners and realistically projects as a four-corners bench bat who provides patience and newfound in-game pop. Prior to the 2018 season Connor Joe wasn’t exactly a ground ball machine, but he wasn’t a fly ball guy, either. His ground ball rate through the 2017 season in the Minor Leagues was 46%. In 2018 with the Dodgers between Double-A and Triple-A that rate dropped to 38%. With that he began to show more power. Depending on where you look for your scouting information you will see Joe’s power listed as somewhere between average and slightly above-average. Let’s just call it 20-home run pop by splitting the middle-ish. 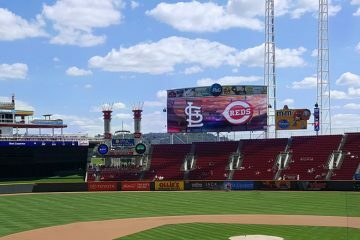 In a full year of Great American Ballpark, perhaps that plays up some. With that said, it’s tough to envision a scenario where Connor Joe gets a full season of playing time for the Cincinnati Reds. He’s mostly been a first baseman or third baseman. He’s not playing over Joey Votto or Eugenio Suarez. There’s also been talk that he could possibly play some corner outfield, too. It’s tough to see where he plays over anyone that currently looks to be in that spot. With some position flexibility, Connor Joe could play a little bit of everywhere and rack up some plate appearances. Still, there won’t be THAT much playing time available for him to put up Max Muncy kind of numbers unless there are multiple injuries throughout the season. He simply is too far down the depth chart at too many positions. That doesn’t mean that he’s not still rather intriguing. He is. But he’s far more likely to get 150 plate appearances in 2019 for the Cincinnati Reds than he is to really break out. It’s just going to be so tough to see how he could get the required playing time to make that happen. On paper, Connor Joe sounds like a good bench player. He has a good approach at the plate. There’s some pop in his bat. He can play a little bit of everywhere on the corners, and even behind the plate in an absolute pinch. You never know how a guy will perform as a pinch hitter until they get into that role and do it. Some guys can carry over things in a limited role, while some guys struggle in it. Time will tell how it plays out. He’ll first have to make the roster out of spring training. But he so there’s more than a few things to like here. What do ZiPS projections say about the Reds prospects? I just can not see the guy making the team. Agree with MK, can’t see how he fits on the team unless some guys are traded off. We currently have 5 OF’ers not including Senzel set to be on the team. We’ll likely carry either Blandino (when healthy) or Trahan to give us a true backup SS. The Reds typically start with an 8-man bullpen as well. Just don’t see the opportunity. Now I’m stumped – I thought he was a Rule 5 pick, thus stuck on the 25 man roster all year? Also, IIRC, they were going to work him more as a C, which is how the pick was announced. Barring a Realmuto pickup, as a 3rd C he could get another 25-50 at bats. Still think they’ll try to sneak him through as DFA some slow week in May or June. He was a Rule 5 pick. He can’t be sent to the minors. But they can just choose to not keep him on the roster, and any other team could choose to put him on their 25-man roster. Or if they don’t, then the Dodgers can acquire him back for $50K. As a rule 5 pick the Reds have to keep him on the roster the full year or offer him back to the Dodgers for $50,000. Agree though that the Reds drafted him as a Catcher and it was not mentioned in the article. I like him sticking. A third catcher adds value. Plus offensively he was pretty special in the minors last year. He had a 14% BB% to go with a 20% K%. His OPS of .935 is elite. Maybe he is limited defensively. But if he can catch that changes that story a lot. Not too often you have a catcher with a .935 OPS. Thanks – OK – thought so – seems he’s a good fit for the 25th roster man unless/until they can get him thru DFA and to the Bats for playing time. Obviously coach Turner had a role in the pick, but a useful risk in any case. If all else fails, are Rule 5 picks subject to pull back from waivers and negotiating a trade, or do they simply go if claimed? (Off to the rule book for that one). Seems like the Reds can make a deal with the Dodgers to gain flexibility with Joe. This makes the pick even more appealing, given the transaction history between the clubs – make this an add-on to another transaction. I thought listing Joe as a catcher was an error. He didn’t play catcher at all in 4 years in the minors and was listed as an infielder in college. Can Connor Joe be a backup SS if Blandino needs more injury recovery time in AAA? Can he play 2B as a backup? What poison would you choose – Trahan’s bat but solid glove or Joe’s bat but poor glove at SS? Also, I would like to see similar analysis of Jordan Patterson. He has hit everywhere he has played – including power)has a great arm for RF (only Puig or Senzel have good IF arms right now) can be a good backup for 1B. He was blocked by several good OFs in Colorado. He is not on 40 man, but if Kemp/Schebler traded or injured, he might be a better option than Ervin. No, he can not play shortstop. No, he can not play second base. I’d choose Joe over Trahan. Until you need an actual shortstop daily (in a scenario where Peraza is injured), I’m not carrying Trahan on the roster. It has never been said but personally I would think about starting Peraza in center and Trahan at short, With the increased emphasis on improved pitching I want my best defense in the field Peraza is most likely the best center fielder and Trahan is the best shortstop. They could get by with Trahan hitting .210 and make it up defensively. Peraza is definitely not their best centerfielder. Article says he is a poor third baseman and he has never played shortstop. If you figure 2 catchers, 5 infielders, 5 outfielders and 13 pitchers there is no room for the guy. Here’s hoping. And thanks for the insightful post. I think he could make the club out of ST, but once both Blandino and Senzel are ready, space would get tight with those two, Kemp, and Casali as the bench (but Senzel playing a lot around the field). If they keep one less pitcher, do you have Ervin or Joe as that last bench piece? Injuries will also play a part. I’m guessing there will be more transactions before the season that will affect things as well, but Joe could have a Kivlehan type role if things work out for him. Rumors are that the Reds are still in on Realmuto and also bringing in the Padres to complete the deal. Reds need to extend Gennett because their depth at 2B disappears with this trade. The Reds bullpen gets much better. The Reds OF becomes better both offensively and defensively. Iggy, Castillo, Steckenrider, Hernandez, Hughes, Garrett and Lorenzen is a great start to the bullpen. To fill in you have Reed, Wisler, Finnegan, Romano, Herget and Bowman. In fact I think Reed and Romano could be bullpen studs and have higher ceilings of every one other than the first 3. Finnegan could join them if healthy. Doubt this trade happens. I wouldn’t give up both Senzel and India in same trade. I would rather have Cordero than Rees or Margot. I like Franchy Cordero also Pitt. I would not be at all upset if Cordero and Reyes were flipped. I would also be willing to add Trammell and take out one of Senzel. My thought though was that extending Gennett will be much easier than extending Puig. If we are locked into an IF of Votto, Gennett, Peraza and Suarez the next 4 years Senzel and India are not really needed and are better off getting valuable players to fill their needs. if it were Cordero instead of Reyes I would want to keep Senzel and send SD India and Miami Trammell. Wisler/Reed/R Stephenson have little or no trade value. The trade you proposed will not happen as you proposed it. Howsam said You Can Trade Ashes In Return For Coal. They don’t have a lot of trade value Oldtimer but SD has turned around their fair share of pitchers thanks to their park and they may be interested in several of these as added pieces. These were all top 100 prospects at one time. Not a bad gamble. SD needs SP. I think they would love to have all three. Plus Reed looks like he would be a great bullpen addition even if he can not start. Please note that the prize of this is Senzel. No one trades quality to get back AAA pitchers. The Reds needed SP too. But none of these three would help. SD would want up & coming P not those with three straight subpar years in MLB (like these three). They are throw-ins AT MOST. Wrong Oldtimer. The Padres would want Senzel. I consider Senzel = Margot and Reyes. Senzel may be better than these two. I don’t think Reyes was ever a top 100 prospect and Margot was but like Stephenson, Reed and Wisler he playing time in the majors has dinged his prospect status. Castillo is better than Barnhart but not that much better. Add in Stephenson, Reed and a Marlin prospect and it is even. Look at the entire trade because I hardly consider Senzel ashes. 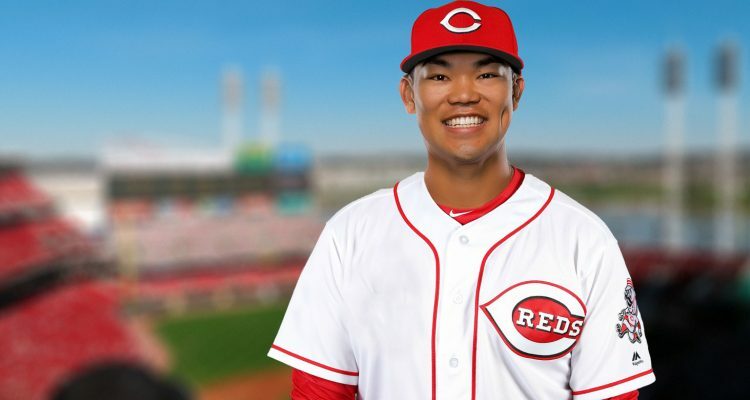 The only reason Conner Joe would make the Reds 25 man roster is so that the Reds Opening Day lineup could incorporate 6 former Dodgers (Peraza, Schebler, Puig, Kemp, Wood, &Joe). Of course even less likely is that Farmer would make 6. 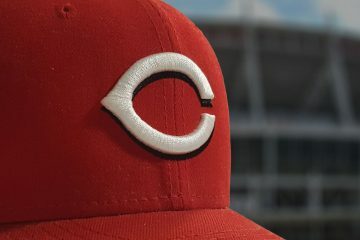 I’d much rather the Reds take 13 pitchers north including 1 of Wisler or Stephenson that a Rule 5 jack-of-all-trades Conner Joe. Odds are Joe won’t make Reds out of ST, but if Reds still want to keep him (if he goes unclaimed by other MLB Teams), they could talk with LAD to see if a trade could be worked out. If not, LAD would prob pay $50 K to bring him back to their AAA Team.